Low power video streaming; solar whispering gallery; organic solar cell record. 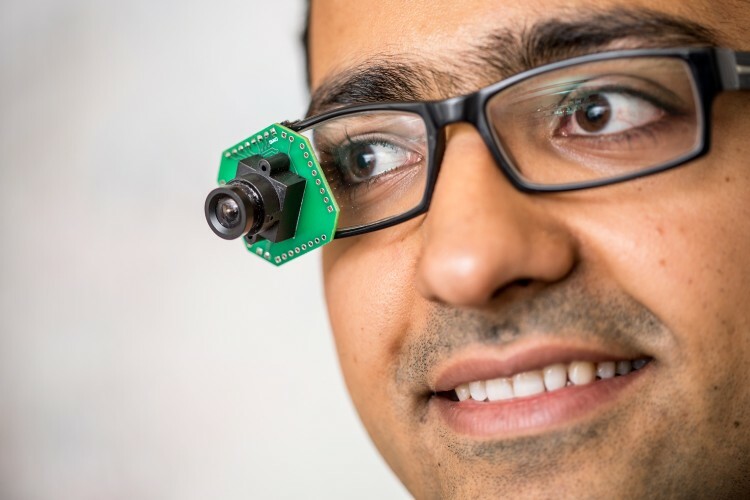 Engineers at the University of Washington developed a method for streaming HD video from a lightweight, wearable camera. The researchers used backscatter to send pixel data to a more powerful device, such as a smartphone or laptop, for power-hungry tasks like video processing and compression that have made a lightweight streaming camera out of reach. The pixels in the camera are directly connected to the antenna, and it sends intensity values via backscatter to a nearby smartphone. The phone, which doesn’t have the same size and weight restrictions as a small streaming camera, can process the video instead. For the video transmission, the system translates the pixel information from each frame into a series of pulses where the width of each pulse represents a pixel value. The time duration of the pulse is proportional to the brightness of the pixel. The team tested their idea using a prototype that converted HD YouTube videos into raw pixel data. Then they fed the pixels into their backscatter system. Their design could stream 720p HD videos at 10 frames per second to a device up to 14 feet away. The group’s system uses 1,000 to 10,000 times less power than current streaming technology. But it still has a small battery that supports continuous operation. The next step is to make wireless video cameras that are completely battery-free, said Joshua Smith, a professor in the Allen School and the UW Department of Electrical Engineering. The team has also created a low-resolution, low-power security camera, which can stream at 13 frames per second. This falls in line with the range of functions the group predicts for this technology. 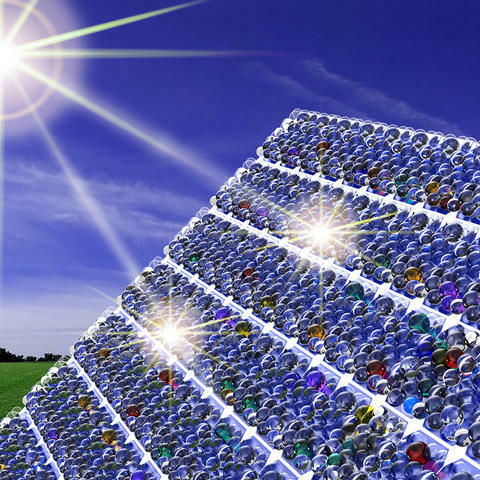 Researchers at the National Institute of Standards and Technology (NIST) and the University of Maryland’s NanoCenter developed a nanoscale coating for solar cells that enables them to absorb about 20% more sunlight than uncoated devices. The coating consists of thousands of tiny glass beads of slightly different diameters, only about one-hundredth the width of a human hair. When sunlight hits the coating, the light waves are steered around the nanoscale bead, similar to the way sound waves travel around the curved wall of an acoustic whispering gallery. In acoustic whispering galleries, a person standing near one part of the wall easily hears a faint sound originating at any other part of the wall. While whispering galleries, or resonators, for light were developed about a decade ago, they’ve only recently been applied to solar cell coatings. In this application, the light captured by the nanoresonator coating eventually leaks out and is absorbed by an underlying solar cell made of gallium arsenide. Using a laser as a light source to excite individual nanoresonators in the coating, the team found that the coated solar cells absorbed, on average, 20% more visible light than bare cells. The measurements also revealed that the coated cells produced about 20% more current. The team also devised a rapid, less-costly method of applying the nanoresonator coating. Researchers had previously coated semiconductor material by dipping it in a tub of the nanoresonator solution. The dipping method takes time and coats both sides of the semiconductor even though only one side requires the treatment. In the team’s method, droplets of the nanoresonator solution are placed on just one side of the solar cell. A wire-wound metal rod is then pulled across the cell, spreading out the solution and forming a coating made of closely packed nanoresonators. This is the first time that researchers have applied the rod method, used for more than a century to coat material in a factory setting, to a gallium arsenide solar cell, which should make the process inexpensive and compatible with mass production. Researchers at the University of Michigan demonstrated a new record efficiency of 15% for organic solar cells, putting it in the range of many conventional commercial solar panels. 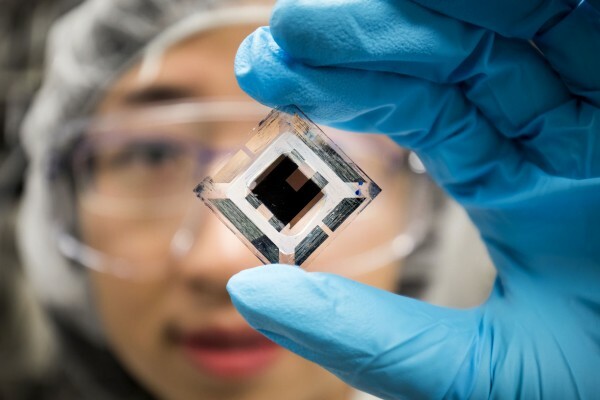 As well as being cheaper than conventional solar cells, carbon-based organic solar cells are flexible and could be manufactured in rolls thin enough to bend around structures, opening up more places for solar arrays. At 15% efficiency and given a 20-year lifetime, the researchers estimate organic solar cells could produce electricity at a cost of less than 7 cents per kilowatt-hour. In comparison, the average cost of electricity in the U.S. was 10.5 cents per kilowatt-hour in 2017, according to the U.S. Energy Information Administration. For their panel, the researchers designed a system that absorbs both visible and infrared light by stacking two organic solar cells, one capable of absorbing light from the visible spectrum starting at 350 nanometers in wavelength, and another capable of absorbing near-infrared light up to 950 nanometers in wavelength. Interconnecting layers were added that prevent damage to the first cell and still allow light and electrical charges to pass through.